Well, Microsoft lied to us. 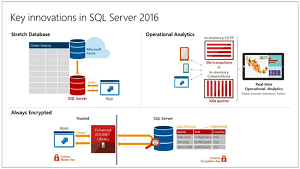 They didn't provide the public preview of SQL Server 2016 "this summer" as promised -- they delivered today. "The first public preview of SQL Server 2016 is now available for download," the SQL Server 2016 Preview page says today. "It is the biggest leap forward in Microsoft's data platform history with real-time operational analytics, rich visualizations on mobile devices, built-in advanced analytics, new advanced security technology, and new hybrid cloud scenarios." The new edition of the company's flagship relational database features enhanced in-memory performance, Always Encrypted security technology developed in the company's research unit, "stretch databases" that move data back and forth to the cloud when needed, built-in advanced analytics and many more. You can read more about the new release in my earlier report. Company exec T.K. "Ranga" Rengarajan provided more details in a blog post today. 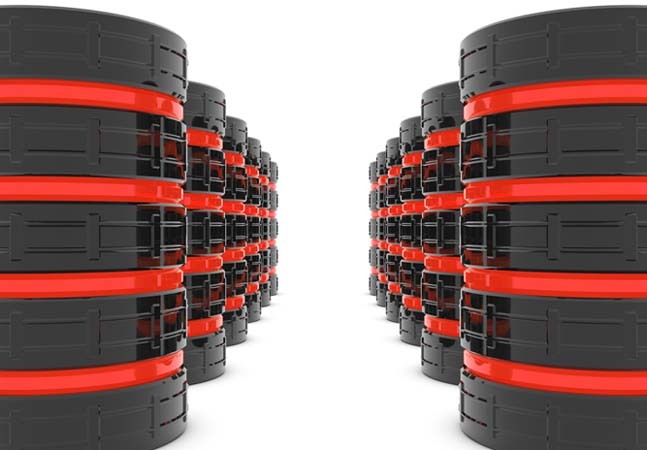 "Unique in this release of SQL Server, we are bringing capabilities to the cloud first in Microsoft Azure SQL Database such as Row-Level Security and Dynamic Data Masking and then bringing the capabilities, as well as the learnings from running these at hyper-scale in Microsoft Azure, back to SQL Server to deliver proven features at scale to our on-premises offering," he said. "This means all our customers benefit from our investments and learnings in Azure." Row-Level Security lets administrators control access to data based on user characteristics. Security is implemented inside a database, so no modifications are required to an application. With Dynamic Data Masking, real-time data obfuscation is supported so data requesters can't access unauthorized data. Rengarajan said this helps protect sensitive data even when it's not encrypted. PolyBase -- More easily manage relational and non-relational data with the simplicity of T-SQL. Native JSON support -- Allows easy parsing and storing of JSON and exporting relational data to JSON. Temporal Database support -- Tracks historical data changes with temporal database support. Query Data Store -- Acts as a flight data recorder for a database, giving full history of query execution so DBAs can pinpoint expensive/regressed queries and tune query performance. MDS enhancements -- Offer enhanced server management capabilities for Master Data Services. Enhanced hybrid backup to Azure -- Enables faster backups to Microsoft Azure and faster restores to SQL Server in Azure Virtual Machines. Also, you can stage backups on-premises prior to uploading to Azure. He also said ongoing preview updates were coming soon. "New with SQL Server 2016, customers will have the opportunity to receive more frequent updates to their preview to help accelerate internal development and test efforts," Rengarajan said. "Instead of waiting for CTP3, customers can choose to download periodic updates to CTP2 gaining access to new capabilities and features as soon as they are available for testing. More details will be shared when the first preview update is available." He didn't say when that would be. Just as well, as the company seems to have trouble following its promised timelines.